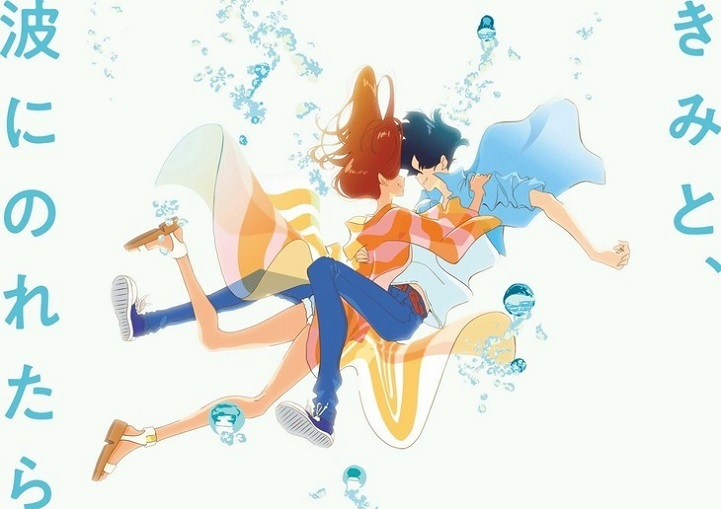 At the Tokyo International Film Festival on Sunday, director Masaaki Yuasa (Yojouhan Shinwa Taikei) announced a new anime film titled Kimi to, Nami ni Noretara (Riding a Wave with You). The film will open in Japanese theaters in early Summer 2019. The film's storyboards are completed and animation work is currently in progress. However, Yuasa addressed that the production is behind schedule. He also mentioned that while not a sequel, a "certain element" connects the new film to Yoake Tsugeru Lu no Uta (Lu Over the Wall). Yuasa made his directorial debut with the award-winning film Mind Game in 2004. His recent works include Yoru wa Mijikashi Arukeyo Otome (Night Is Short, Walk on Girl), the second anime adaptation of a Tomihiko Morimi novel by him following Yojouhan Shinwa Taikei (The Tatami Galaxy), and Devilman: Crybaby, a modern anime adaptation of Go Nagai's original Devilman manga. Nice, can't wait to see his movie. Less romanticist.. tinted with unfamiliar avant-garde eccentric tone.. Seems gureytttooo..
Looks nice. Will give it a look. Sounds good and interesting, so will be hoping for a UK cinema release eventually. To be honest, I haven’t heard of this Director nor have I watched any of his previous shows but, by the looks of it, he has been a part of some brilliant projects over the years so I’ll be looking forward to seeing what this movie will have to offer. I hope the production being behind schedule won’t cause too much trouble for the Staff though. This looks and sounds really sweet. Will definetly watch it. It doesn't look so good tbh. Like it looks kinda corny for Yuasa, doesn't it? I will definitely watch it tho'. Lu Over the Wall looked corny (and it actually was) but in the end was so funny. Sounds nice, looking forward to it. YES! YES! YES! OH MY GOD! Right in the plan to watch! !